Convert DWF (Design Web Format) files to AutoCAD DWG and DXF file formats, so you can recover DWF entities to corresponding DWG entities easily. - standalone program, AutoCAD not required. - Supports all DWF entity types exported by AutoCAD, including arcs, elliptical arcs, ellipses, true type fonts and etc. - Supports the DWF multi-page specification. - Restores the layers in DWF, renders entire DWF pages. - Extracts embedded Images from the DWF file. - Batch conversion ability allows you to convert an unlimited number of DWF files at a time. 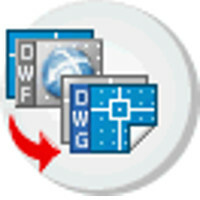 Convert dwf to editable dwg file. - Pro version is a stand alone program, no AutoCAD required. 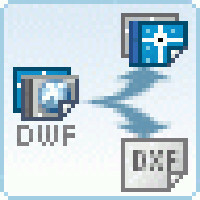 DWF to DWG Converter, help you convert dwf to editable dwg file. there are two versions available. standard version is an AutoCAD Addin, and Pro version is a stand alone program, no AutoCAD required.